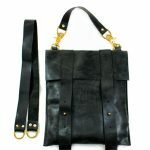 Choose between either an All-Leather strap or a Leather & Chandelier chain strap. 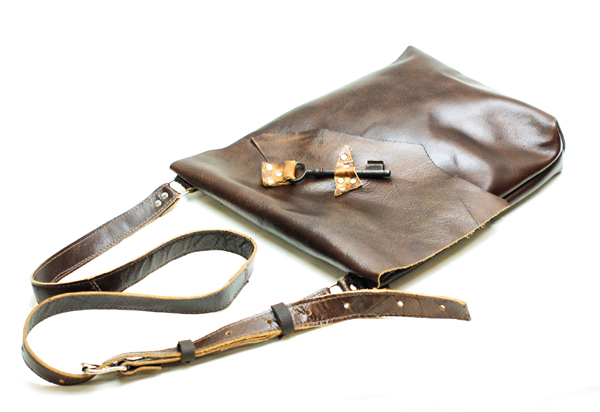 Upgrade from fixed length to adjustable length for more versatility. 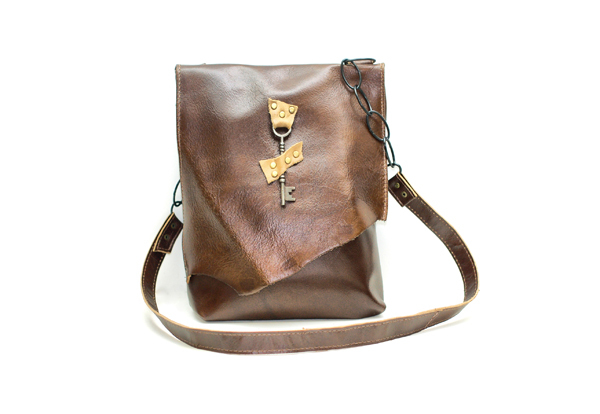 Divina Denuevo’s Urban Raw Edge Key Accent Messenger is the perfect every-day companion. 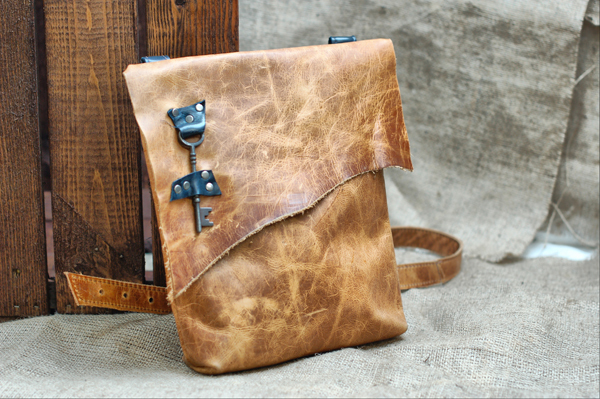 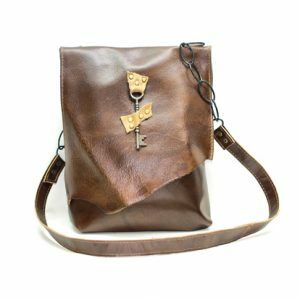 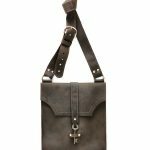 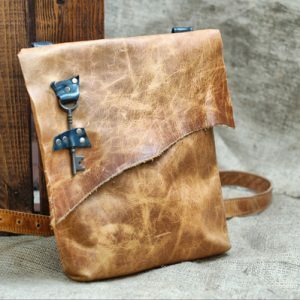 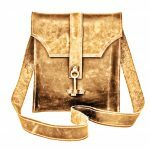 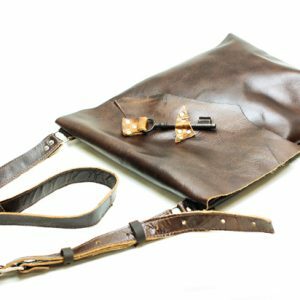 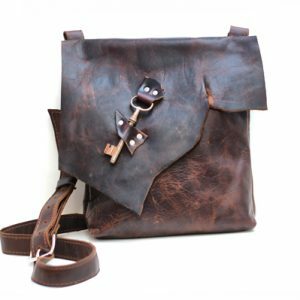 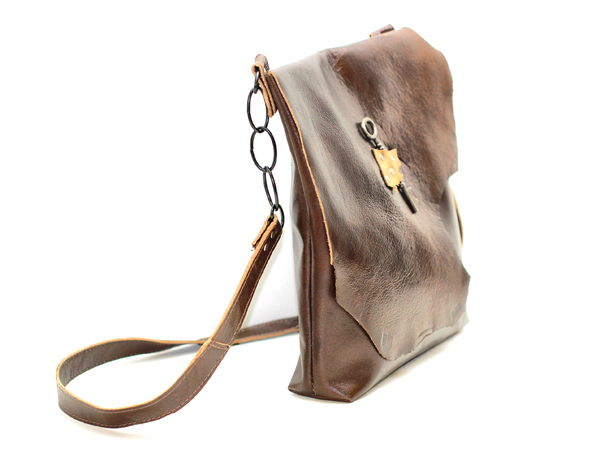 Made in supple leathers that develop rich patinas, this bag is accented with a unique skeleton key, and is completely customized to you! 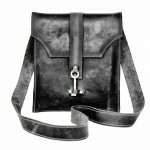 The bag is sewn using industrial strength leather-grade nylon stitching, and uses matching antiqued silver hardware. 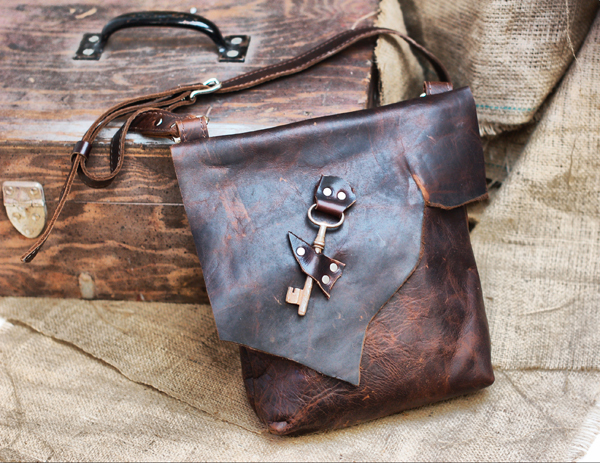 It features an authentic antique skeleton key and a raw edge flap. 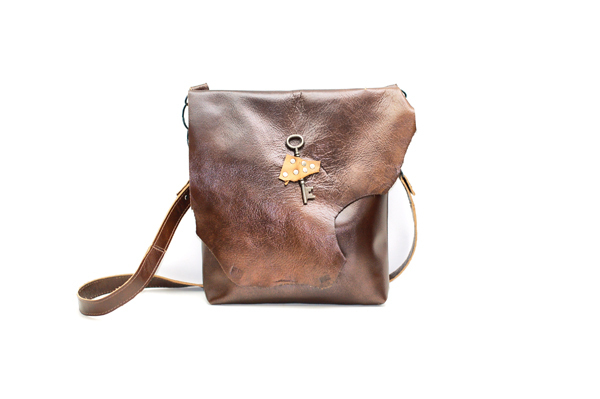 There is a tag sewn inside that tells you the story of where your key was recovered from.. 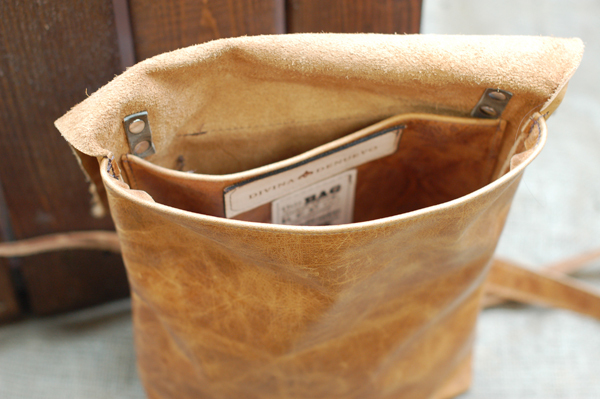 It has a 2.5″ gusset, making it roomy enough for all your essentials. 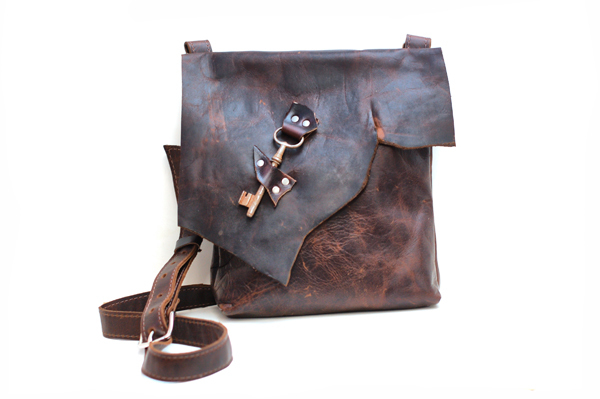 Over time the leather will develop a beautiful patina. 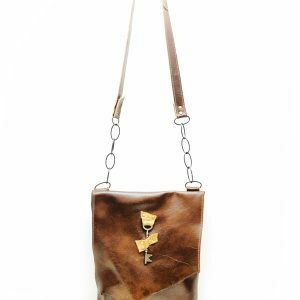 The flap features the natural raw cut of the leather – we didn’t create the shape of the flap, that’s how the leather came to us from the tannery. 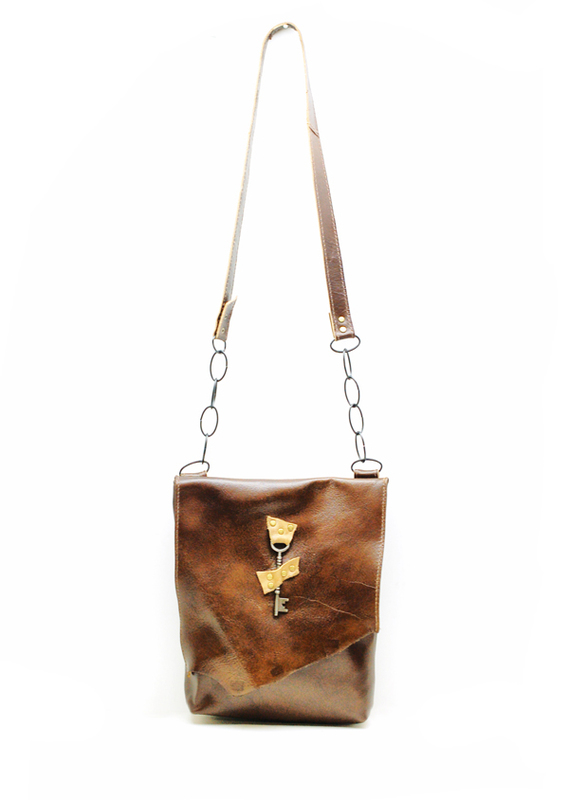 As such, this piece is one-of-a-kind. 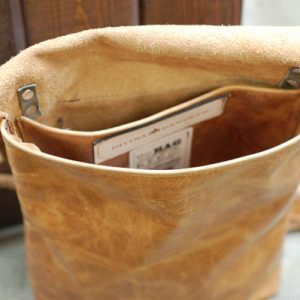 Your order will NOT have the same shape flap, it will vary based on the natural raw edges of the leather we use to make your order. 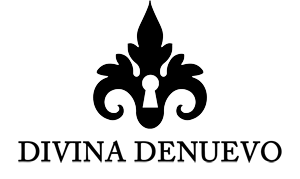 We can send you a photograph of the edge we intend to use for your approval after you’ve placed your order to ensure you are happy with the shape. 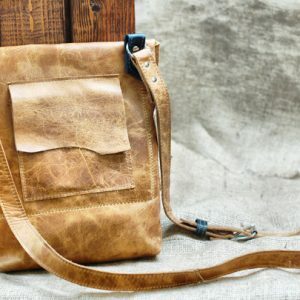 Just mention that you would like an approval photo in the notes. 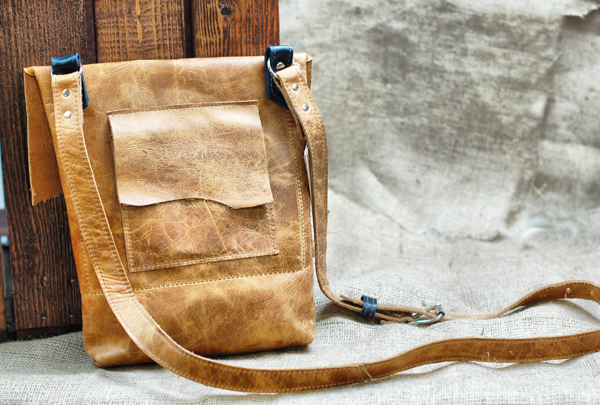 IMPORTANT NOTE: This is not the bag you will receive – each bag is made-to-order and completely one of a kind. 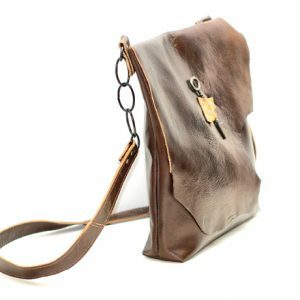 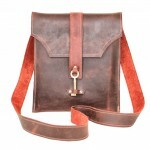 Your bag will look similar but it will have a different antique key, and a different raw edge flap from the one pictured. 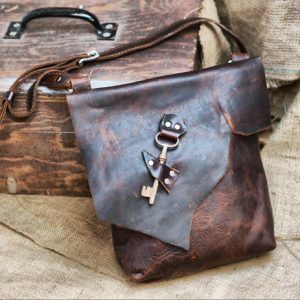 You choose where the key is placed and whether you’d like an asymmetrical, straight, or pointed flap. 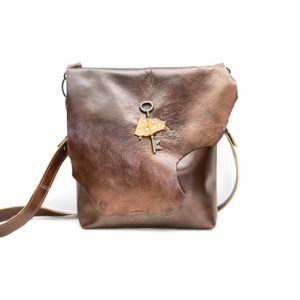 The accent colour that holds the key in place will be decided based on complimentary colours – if you have a preference please indicate it in the notes during checkout.